This Tuesday a very special event begins our 02015 series of salon talks at The Interval in San Francisco. 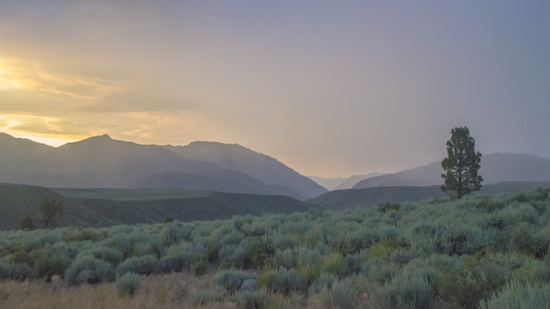 The Great Basin in the Anthropocene on January 6 will be a night full of science, natural beauty, and Long Now lore. 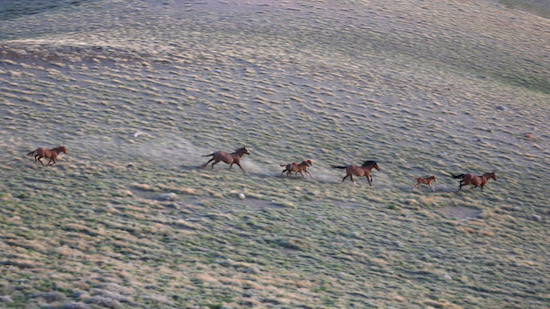 Scotty Strachan will talk about the natural history of the Great Basin Region. 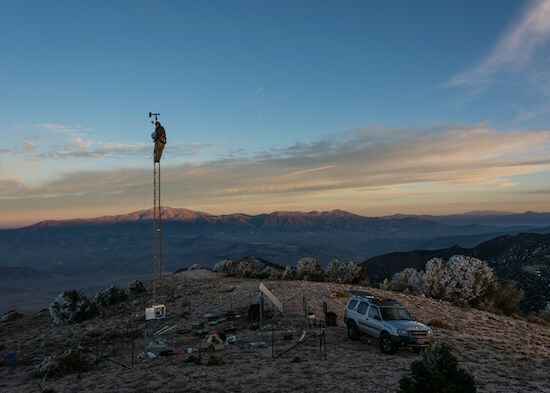 Scotty’s scientific research includes study of the climate and hydrology of the area as well as tree-ring analysis of bristlecone pines. 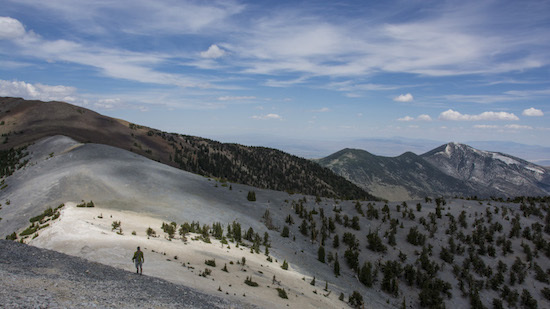 This work has been conducted throughout the region including on Long Now’s property on Mount Washington in Nevada. Alexander Rose, Long Now’s Executive Director, will give a special introduction about Long Now’s history and connection with the area. You can purchase tickets here while they last. In Stewart Brand’s 02004 TED talk (full video below), he tells some of the story of Long Now’s Mount Washington. It’s a talk Stewart called “How Mountains Teach”. In 02004 we were considering the mountain as the initial site for the 10,000 Year Clock. And while we are currently building in Texas, we remain committed to this fascinating, important area. 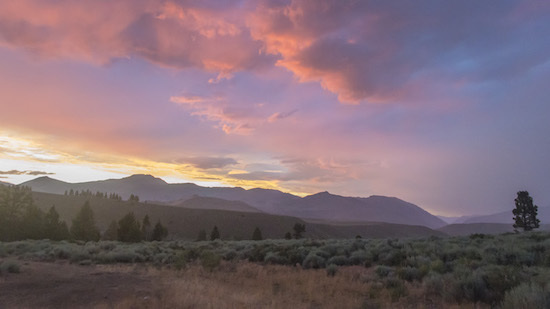 Long Now’s property features the largest group of bristlecone pines on private land. 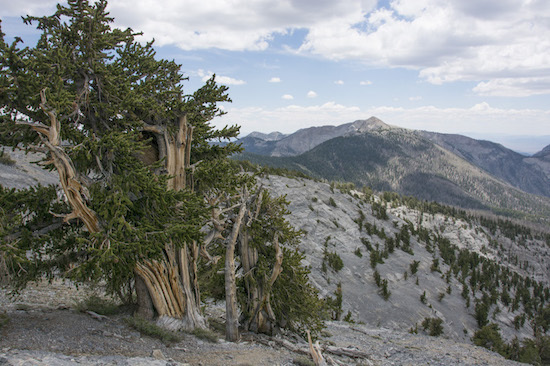 Bristlecones are amongst the oldest living things on the planet and are a symbol of The Long Now. If you go up on top of those cliffs, that’s some of the Long Now land in those trees. And if you go up there and look back, then you’ll get a sense of what the view starts to be like from the top of the mountain. That’s the long view. That’s 80 miles to the horizon. And that’s also timberline and those bristlecones really are shrubs. That’s a different place to be. It’s 11,400 feet and it’s exquisite. This talk is a great introduction not only to Mt. Washington, but also to the entire Great Basin region. Alexander’s introduction before Scotty’s talk will revisit the story of Long Now’s purchase of the land, and talk about why it means so much to our organization. Scotty is also a talented photographer. 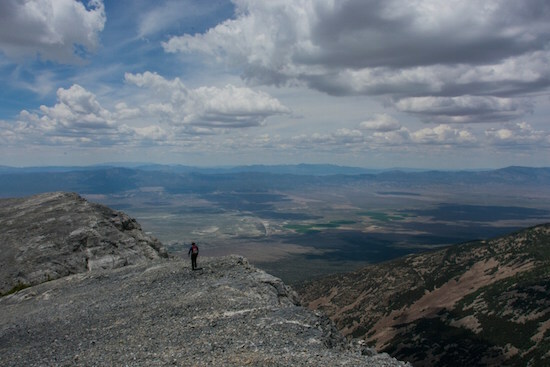 While conducting field research in the mountains and valleys of eastern Nevada, he also takes the time to document the natural beauty of the area. We are thrilled to share dozens of Scotty’s photographs not only during his talk but on video screens at The Interval leading up to and following his talk. Below are just a few examples of Scotty’s work. Tickets and more information about the talk are here.